Think about how you would repair an issue with your kitchen oven. Chances are you didn’t save that user manual from when you purchased it, so instead, you consult YouTube, looking up “how to” videos to safely and efficiently fix your problem. Now, apply this same principle to construction safety technology. Job site safety is about identifying and controlling workplace hazards to better protect individuals on the job site from being negatively impacted by these situations. 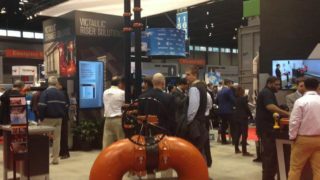 The goal is zero accidents on site, and construction safety technology is making this goal more attainable than ever before. And while drones and wearables are the cutting-edge of construction safety technology, your safety tech doesn’t need to be that exotic, it just needs to be accessible. Virtual reality technology is being used to properly train teams on fall protection, while drones are used to pinpoint hazardous areas of a job site. Wearable technology has also evolved, bringing everything from hats with built-in lights to safety vests that track motion and heartrate to the job site. Though this construction safety technology is revolutionary, it isn’t the first thing we think of when we want to learn how to properly and safely install the product on a job site. Let’s go back to that oven in your kitchen. If you don’t have a best friend or a father-in-law who is a contractor, you likely consulted the internet to find your solution. Why? Because it’s accessible. That computer in your back pocket gives you access to a world of “how to” blogs and videos. But the key to finding the best “how-tos” is by finding reputable businesses who post them. And it doesn’t get more reputable than the manufacturer itself. 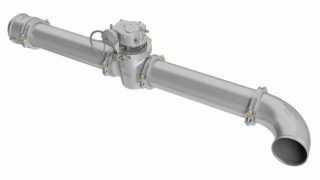 Manufacturers within the architecture, engineering, and construction (AEC) industries are now applying this same principle when providing installation instructions for their products. Even though written installation instructions are provided with their products (as they were with your oven), manufacturers know the most powerful tool in your tool belt is your phone. This is why installation instructional videos are now available on YouTube, providing customers with visual instructions on how to properly and safely install and maintain commonly used products. Whether these videos are accessed through a quick Internet search, or via QR codes on the product packaging, they quickly showcase product installation to avoid unnecessary hazards on the job site. In an age where we are rarely without our phones, the mobile accessibility of visual installation instructions is key. Advancements in construction safety technology may include cutting-edge wearable technology and daily job site drone footage, but a quick reference video could be the difference between a zero accident job site and a troublesome and costly job site hazard. 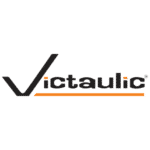 See how Victaulic has embraced video installation instruction on our YouTube channel.